What is a Water Service Line? What Do You Use Black Pipe For? The water pressure regulator in your home is often regarded as one of the most important pieces of equipment a home can have, as it regulates water pressure that flows through pipes in your home. A broken or poorly functioning water pressure regulator could cause high water bills and major piping damage. Some water pressure regulators are installed underground, particularly for outside irrigation systems and in homes located in warmer climates. Luckily, there are ways to find an underground water pressure regulator. Water pressure is measured in pounds per square inch, known as PSI. Locate where the water pipe comes into your home from the outside. 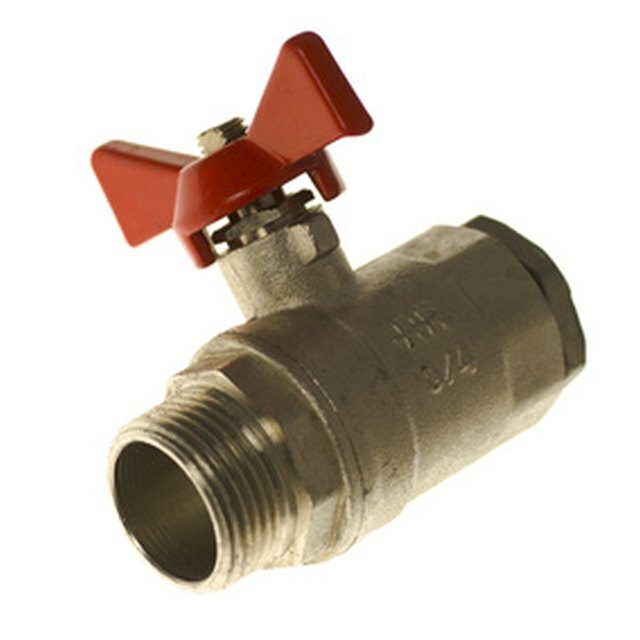 In warmer climates, the water pipe and pressure regulator are typically outside, usually at a street or alley, underground, where the main water pipes enter the home and usually at or near the property line. In colder climates, the water meter and pressure regulator are found in the basement or utility room of a house. Look for any associated markings that the water company has used to denote where the water pipes are coming into your home. For example, a "W" may denote a main water meter box on the curb in front of your home. A standard meter cover box typically measures 5/8-by-1/2-by-3/4 inch. Call your local water company if you aren't able to find your water meter. Use a curb box lid key to open the meter box. Locate your water pressure regulator directly on the water line near the meter. It is round with numbers on the dial. Mary Cole resides in the Washington, D.C., metropolitan area and works as an engineer for a major wireless company. She began writing professionally in 1999. Cole holds a Bachelor of Arts from Trinity College and attended film school at Columbia University in New York City.